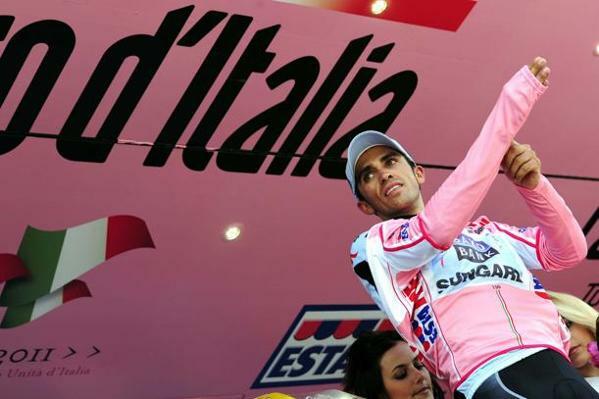 Pedaling the road: Contador riding the giro - correct decision or who to blame? Contador riding the giro - correct decision or who to blame? Today we saw Alberto Contador powering to the stage victory in Sicily, really putting the pressure on the other favourites. Many have critized his presence in the giro, among them Angelo Zomegnan, the race director of Giro d'Italia. After his win today, many commented on twitter that he shouldn't be there and referred to his doping investigation. I have also been very negative towards his participation in this year's giro, today he demolished the other favourites in a powerful way, what if he wins and CAS find him guilty? My concern is mainly the sport. Cycling does not need another episode of a rider who takes the glory from someone else, imagine being on that second place if Contador doped. Let me start by saying I don't know if Contador doped. I can say much of his background, his previous teams, trainers and culture, but no evidence comes from that. However, there are evidence that he doped, clenbuterol was found in his urine, that is what I have to relate to. What is the right thing to do? From Contador's perspective, if he doped or not, by not attending the giro he automatically has admitted he doped. From Riis' perspective, he has the best GT rider the recent years in his team, he has obligations to the sponsors, to the commercial actors in the game. He's running a business, and business as of now, is ran best with his price rider in the spotlight. What if Contador get a get out of jail card by CAS? By not using Contador, Riis could have lost money and sponsors lost valueable time on air. There are many potensially losers in this. The biggest loser is the sport's reputation and fans. It should not be Riis' or Contador's decision, not even Zomegnan to make. It should be mandatory by the UCI laws that riders under investigation should not race until a final verdict is made. Even bigshot names like Contador, the stakes are too high. This is why sport needs governance. There will always be opionions, always secondguesses. I have mentioned many would-could-ifs I have named here in this post, the outcome is sensitive and should be treated that way. I really don't think Contador should have been allowed to race. Just in case. I don't know if he doped, but facts per se is per se and I'd hate to see someone lose their well deserved glory. So in my opinion, the UCI need to step up and govern, in a matter who will bring the best conditions possible for the riders, teams, fans and organizers. The uncertainty is something this sport does not need. AFter a look at the UCI list of suspicious riders, there may not be many riders available to race. Although there may be some guilty riders who manage to win races while under investigation and their appeals, the rule should still be "innocent until proven guilty." Contador was found not guilty by his national organization, so in his case, he must be presumed innocent until the CAS hearing is finished. Otherwise it would be unfair to remove a rider from races because someone challenges his national organization. If he is guilty, then the next placed rider can move up. But if he is banned from a race until proven innocent, he can never get that race back. Hi Sal, appreciate your comment. "Innocent until proven guilty" is a good principle and I fully understand your view. However, the fact that a national federation has "cleared" a rider could, in many circumstances, give little credibility. It is true that a rider not guilty will never get that race back, and that would be sad indeed, but fact is that he is still under "investigation" by WADA and the UCI, and I feel that it would be fair to all if riders under investigation stepped down. After all, regulation says that riders/athletes are responsible for whatever substance that shows in their blood/urine.